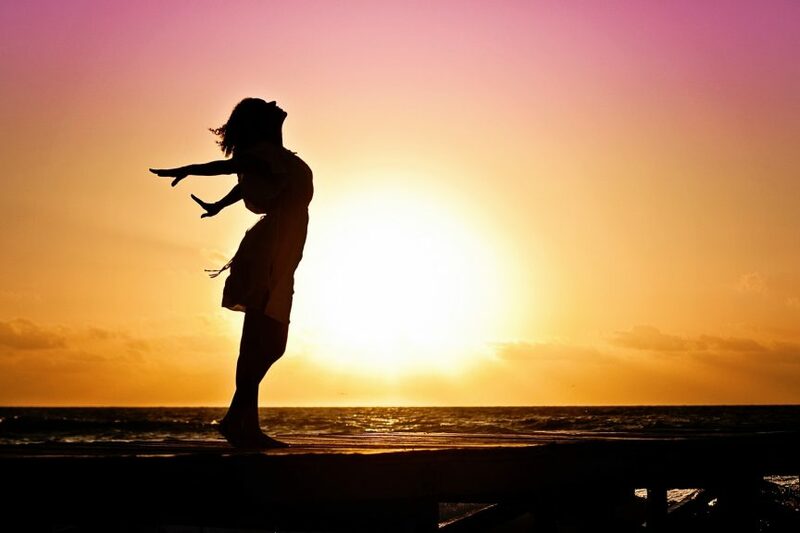 How can you use your breathing to speak confidently? How many times have you got up to speak, and felt your voice suddenly stop? Or you run out of breath when talking, or speak faster than normal? I am sure you have many other signs and symptoms when you stand up to speak to an audience. How do you ensure that you sound confident and controlled, when you are talking? The answer lies within controlled steady breathing. Sufficient breath support focuses your concentration and slows your heart rate. Good breathing will provide enough oxygen to your brain so that you can think on your feet when talking to your audience or that important sales pitch. When you breathe rapidly and shallowly, you might even turn red, and your audience would notice it. Click here to find out how you can work on slowing down your breathing rate and take in more oxygen! Tips on how to breathe and deliver your speech with the most confidence. 1)Stand or sit with the right posture. I have written in detail about how our posture affects our breath pattern. Ensure that your breathing is nice and easy. 2)Use diaphragmatic breathing. Click here to watch how I demonstrate how to breathe using your diaphragm, rather than your clavicle. This is very important, so that you breathe not using your chest. Chest breathing increases the pitch of your voice, and makes you speak faster, hence portraying a more nervous image to your audience. 4)Practice the above strategy with a friend ,or record yourself and listen. Many times, you would not be able to tell the difference in your voice, unless someone tells you so. Or if you don’t have a friend to practice it with, record and listen to yourself .You will be amazed at the difference in voice when you exhale and speak. Practice the above technique daily, if you can. First when you are not in a speaking situation. Remember to breathe IN at the end of every sentence. If you are prone to rushing your speeches, practice breathing at every punctuation mark, it will definitely force you to slow down. As a professional, your voice is your most important asset. 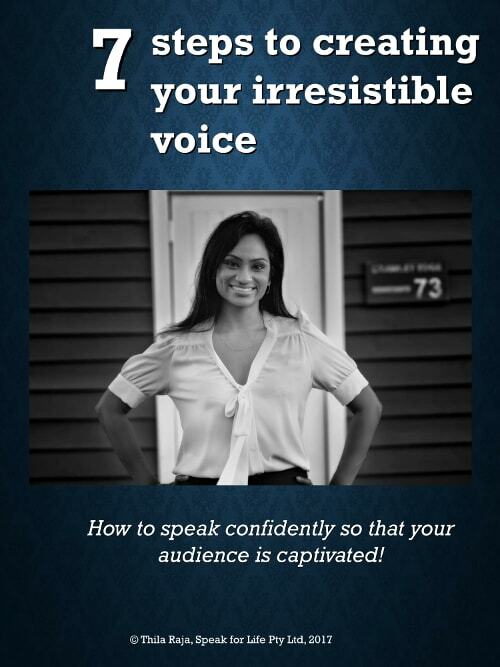 Download the 7 steps to creating your irresistible voice now! Success! Please check your email to get your free e-book! If it is not there, please do check your spam filter, just in case your valuable resource accidentally landed there.